Though most people consider hair removal only as the first sunny rays appear at April. The best time to do home hair removal is during winter. The safety risks and side effects of IPL or laser during summer are much more severe than people imagine. The skin has a natural protection system to deal with light energy, production of Melanin cells – which turn the skin darker, which is what we know as tanning. Doing laser or IPL home hair procedures involve exposing the skin to a lot of light energy (measured in joules). Each treatment is done by pulsing numerous light energy flashes onto the skin. The light heats the hair and the hair bulb is disabled. In this process the skin around the hair gets most of the light energy. The skin Melanin production then goes to overdrive efforts. If you dig into the home device safety instruction leaflet, you will see they all have the same warning: Do not expose your skin to sun light for 48-72 hours after each treatment. The reason is that the skin is over dosed with light during the treatments, and it can not handle additional UV light right after the treatment. The main risk is that while the natural skin defense is “exhausted” it will not protect the skin from the sun. The sun rays are by far more harmful than the laser or IPL rays. The two – three days are needed for the skin to recover and be able to produce Melanin cells again. The best time to remove hair by laser or IPL is during winter month. During these month, the sun UVB energy is at its lowest. The UVB (short rays) are reaching earth at different levels around the year, depending on the earth tilt toward the sun. At winter these rays are not reaching earth at the same level as during summer. The UVA rays, are at the same level all year round, this means that even at winter it is recommended to apply broad spectrum sunblock creams. But UVA has less effect on the upper skin levels which are those who have to deal with the IPL or laser light. 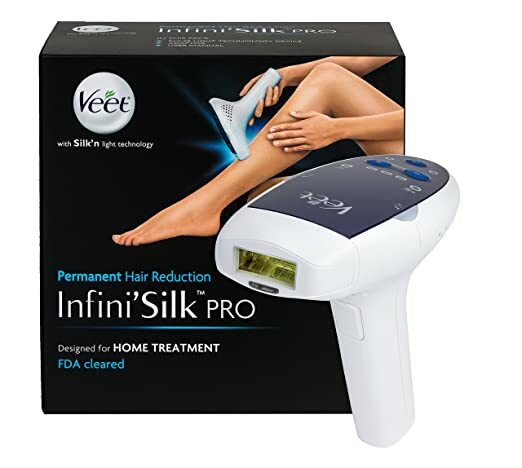 Read more here about the top home hair removal device for 2014. So for your safety, think of laser hair removal 2-3 month before spring arrives. Begin the treatments during the winter and save your skin the harmful side effects of UV radiation and skin damage which follows. How To Choose a Home Hair Removal Device? This entry was posted in IPL Hair Removal, Laser Hair Removal News, Laser Safety, Safe Removal Systems, Skin Discoloration and tagged Getting Rid Of Warts During Winter, Removing Hair With IPL At Winter, summer laser hair removal, When Laser hair removal is not safe by admin. Bookmark the permalink.